The work was planned in two phases, it began in January 2013 and finished in 2014 in July. 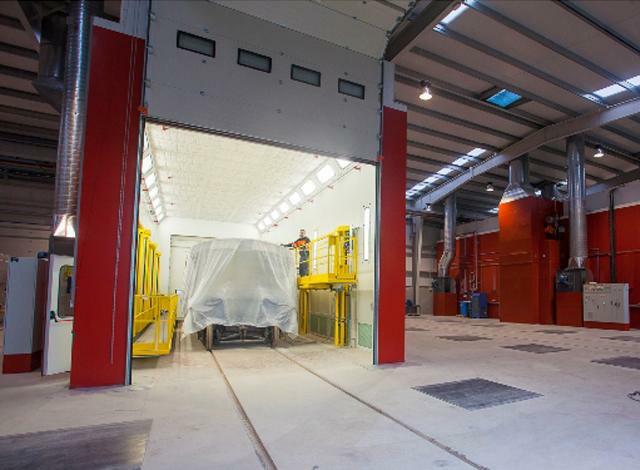 The painting unit has six painting oven-booths and a seventh placed in the existing pavilion before extension. Depending on the process, the booths incorporate air humidification systems and lifting and approximation platforms.